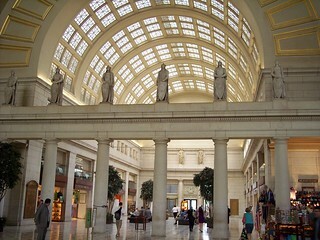 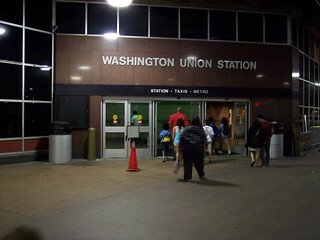 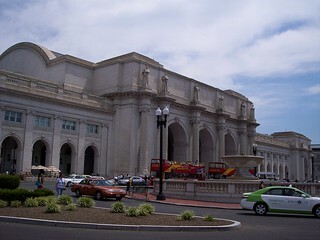 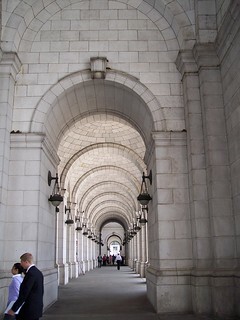 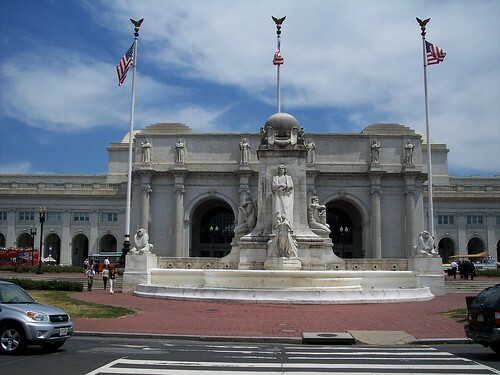 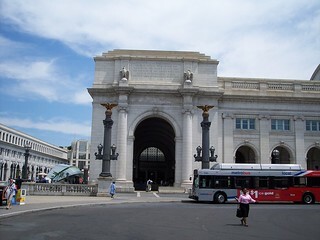 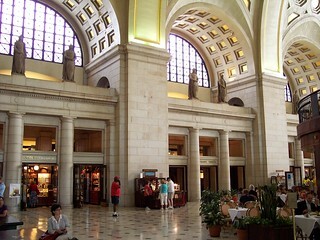 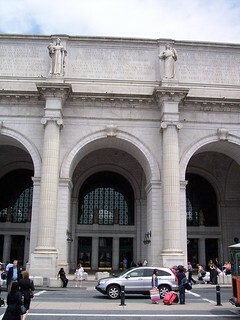 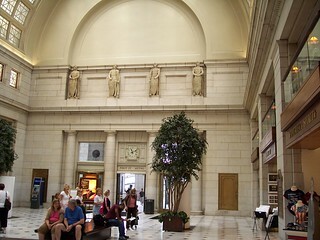 We've been to Washington Union Station a few times, generally ending a journey on MARC and beginning one on VRE. 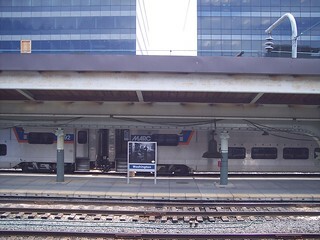 More views of the outside of the station. 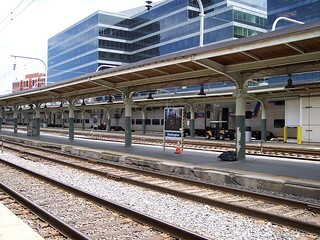 On the left is the part of the station still used for rail passengers. 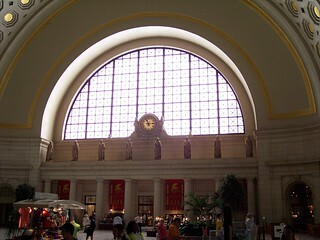 Most of the old station is now a shopping mall. 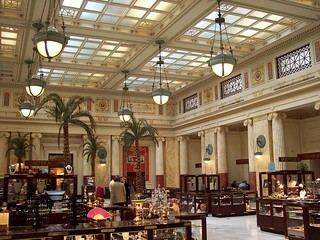 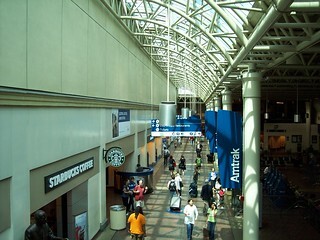 More pictures of the inside of the station. 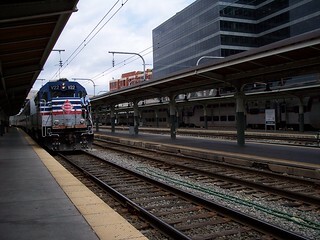 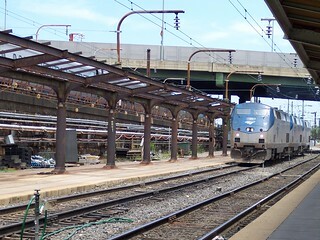 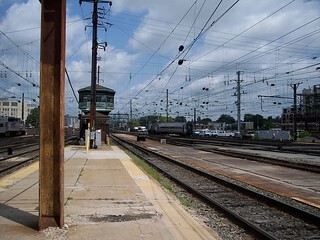 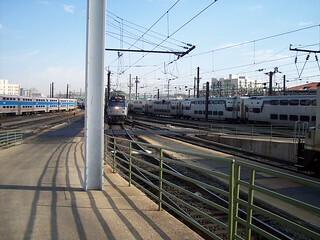 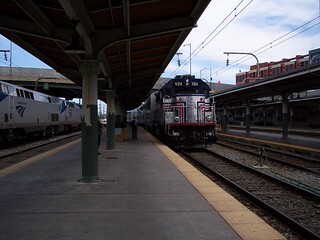 Our trains to Fredericksburg (left) and Manassas (right) arrive at the platform. 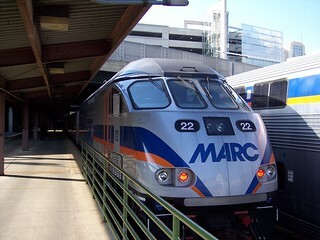 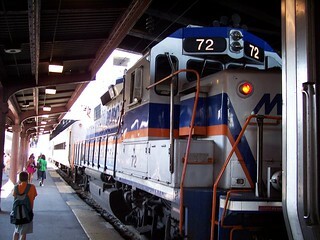 On the upper level platforms we see the MARC train we took from Seabrook. 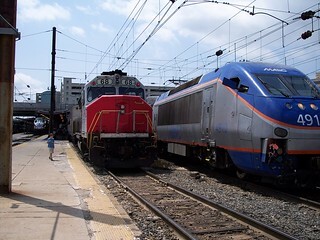 Our train from Perryville is on the right. 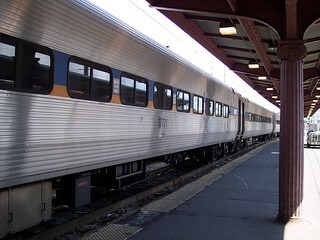 Our train from Brunswick (left), and the station entrance from the upper level platforms (right).